You will be responsible for selling into new prospects as well as farming back into existing customers to ensure high renewal and customer satisfaction levels. Measures of success include new customer acquisition rates, renewal rates, up-selling, cross-selling, customer satisfaction and contribution to overall sales team and business success. Designation: Senior QA/QC Engineer Location: Abudhabi (for our project in Sila) Responsibilities: Responsible for all QA/QC activities on project sites. Distribution and implementation of the project quality plan on the project. Communicating quality problems to the Project Manager & raising NCRs to solve problems. Managing the Site QA/QC Teams. Ensuring that quality records are correctly maintained. Managing the process of inspecting work and materials on site. Writing method statements, checklists and inspection test plans for site works. Review of work procedures and of the purchasing technical specifications to ensure their compliance with the Contract's quality requirements and the implemented quality system. Preparation of: Method statements, Inspection Test Plans and Checklists. Ensuring that external NCRs are adequately monitored and the concerns dealt with effectively and in a timely fashion. Preparation and follow up of the snags during hand over. To be aware of all ISO 9001 requirements and their applications to the company�s activities. Help implementing Pivot�s Integrated Management System. Internal Auditing Responsibilities If necessary, carrying out internal audit. Assisting in facilitating the Management Review process and following up actions on site items from the management review meetings. Identifying training needs and arranging appropriate training on site. Conducting work related training on sites. Making training arrangements in coordination with the appropriate department heads on site. Required Qualifications: Bachelor Degree in Civil Engineering with 10-15 years of experience in the building construction industry. Minimum 5 years should be in a similar position in any GCC country. Proficient in spoken and written English language. Knowledge of Arabic is an advantage. Computer skills should include competency in MS Word and Excel, knowledge of MS Access is an advantage. A valid UAE driving licence and certification in Internal Quality Auditing is an advantage. Salary: As per company standards. - Qualifications: Diploma in Electrical engineering, 3-5 years UAE experience, with attested Educational certificate/ certificate equivalency (will be added advantage). - Must have 5-6 overall experience in maintenance of ELV, LV & Electrical Control Panels. - Knowledge of PLC/ SCADA (ability to direct/rectify/change the components of panels will be preferable). - Able to detect the maintenance requirement of all types Electrical works, water supply and sewerage pumps, air blowers, heaters, boilers and electrical equipment's, shall be well worse in trouble shooting of electrical/mechanical works related to water supply/swimming pools/ sewerage works. - must be able to communicate in English/Arabic. - he must have UAE D/L. - He should be ready to be placed in any emirate of UAE in short notice without any excuse. - The candidate should be a willing worker, ready to work at all emergencies any time of the day. - Salary shall be negotiable for suitable candidate. One of the leading Metal Industry Company based in Dubai is seeking for a qualified Planning Engineer with a minimum of 2 years’ experience in Metal Industry within the UAE and/or Gulf Region. Preparation of Baseline Program with resource loading and cost loading. Making tenders, detailed construction programs and updating. Good Knowledge in Primavera, AutoCAD (2D & 3D), and MS Office (Excel, Word, Outlook & PowerPoint,). Highly qualified Civil engineer for Landscaping. Should posses Bachelor's Degree in Civil Engineering or equivalent qualification. Must be familiar with estimation norms for all landscaping works. Previous site experience in technical and supervisory capacities, preferably Gulf experience. 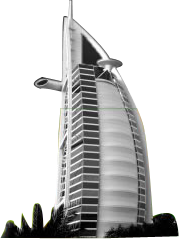 • 1-2 years of experience in computer hardware sales, preferably with datacentre sales experience in UAE.